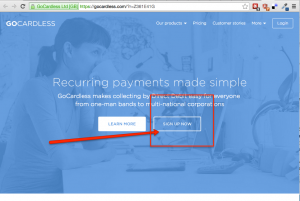 If you are using PayPal in the UK for business to business transactions then you really should take a look at GoCardless. With no monthly fees or minimums, and transaction fees of just 1% capped at £2 that is some 2% plus saving over PayPal, especially for larger payments. GoCardless works brilliantly for business to business payments and would also work for B2C transcations too. It works on UK bank accounts using direct debits. Normally Direct Debits are out of reach of small businesses, due to the the high difficultly and cost to set up. But with GoCardless it allows small business to take direct debits through them. One reason it works better than PayPal for small business transactions is that many small businesses don’t have or want a PayPal account. With easy online management and ability to take recurring payments it is a winner.